Easy to watch and for series of this genre really interesting at some points. Also at first glance what was initialy considered bad cast turned out to be surprisingly good mix of characters, emotions and faces. The title of the series refers to the burn notices issued by intelligence agencies to discredit or announce the dismissal of agents or sources who are considered to have become unreliable. When spies are burned, their connection to an espionage organization is terminated, leaving them without access to cash or influence. According to the narration during the opening credits, the burned spy has no prior work history, no money, no support network , no identity. 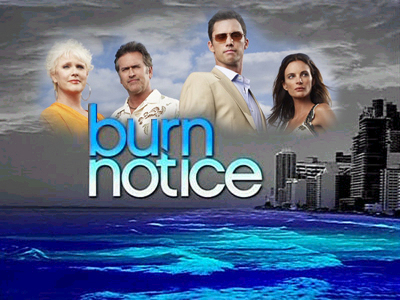 The television series uses second-person narrative and frequent voice overs providing exposition from the viewpoint of covert- operations agent Michael Westen, played by Jeffrey Donovan. The voice-over commentary is in the form of tips for fledgling agents as if for a training or orientation film. Also all of Gabriell Anwar as Fiona Glenanne, Bruce Campbell as Sam Axe, Sharon Gless as Madeline Westen and Coby Bell as Jesse Porter was just brilliant. Thumbs up for this one as is hard to find watchable series these days, let alone good ones, seven seasons long even. Good job creator Matt Nix. anonymous: "way to loose your tail is to drive slow and stupid ;)"
Solve this complex math: 9 + 3 = ?